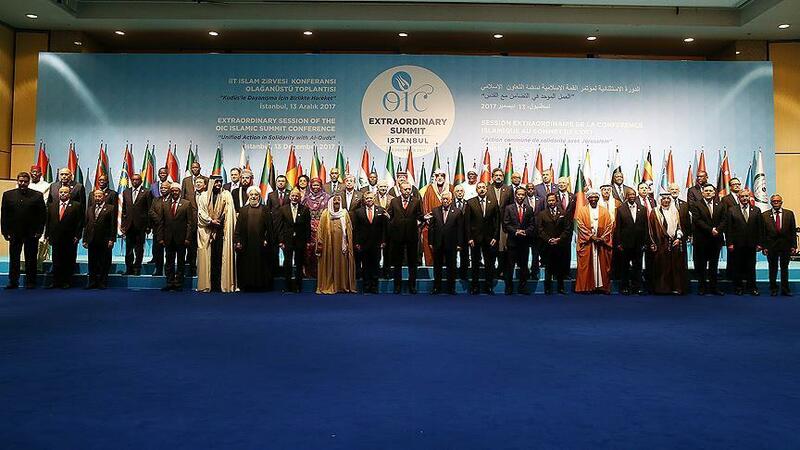 The Organization of Islamic Cooperation (OIC) issued a declaration on Wednesday recognizing East Jerusalem as the capital of Palestine. The "Istanbul Declaration" dubbed "Freedom for Jerusalem" was issued Wednesday evening after an extraordinary summit held in Istanbul. "We confirm that we recognize the state of Palestine with East Jerusalem as its capital, and call the world to recognize East Jerusalem as the occupied capital of Palestine," the declaration read. The declaration also rejected and condemned the "unlawful" decision of the U.S. president. It added that it was "not possible to give up on an independent and sovereign Palestine state, with East Jerusalem as its capital." "[...Trump's decision on Jerusalem] is null and void on the basis of history, laws and conscience," the declaration said. "We call on the UN, EU and members of the international community to look after UN resolutions on Jerusalem's status," it added. In the declaration, the OIC welcomed the "peaceful resistance" that was shown by the people of Palestine against the break-in attempt to the Temple Mount in July. The declaration also called on the Trump administration to reconsider and withdraw their "unlawful" decision. The OIC was established during a historic summit in Rabat, Morocco in 1969 following an arson attack on Al-Aqsa Mosque in occupied Jerusalem. Al-Aqsa was set on fire by an Australian Christian called Michael Denis Rohan on Aug. 21, 1969. The shrine and a 1,000-year-old pulpit were totally destroyed as well as several historical sites. Rohan had joined a U.S.-based sect called ?The Church of God? and believed that setting fire to Al-Aqsa would hasten the coming of the Messiah.